When people think of curly hair, they think in terms of a general hairstyle full of curls. However, there’s a big difference among wavy hair, spiraled curls and coils or kinks. Most of the time you can see which curl type you have just by looking at the mirror and peeking at some examples of the different types. It all depends on how tightly wound your curls are, as well as other factors specific to your hair. 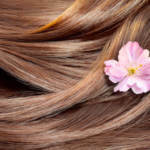 Without knowing these factors, you could be using products that create dry hair unintentionally. Here’s what you need to know in this regard. While the best sulfate free shampoo can be used for virtually any curl type, the same can’t be said for other styling products. For example, if you have tightly-wound curls or kinks, chances are you will need heavy curl products to help them look great and maintain their curl. The challenge is finding the right quality hair care products to match your curl type and different factors with your hair itself. Now that you know what the curl types are, let’s talk about how to find the right products for them. 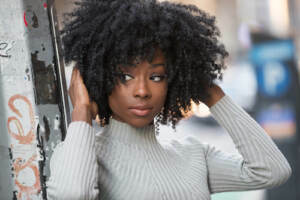 Everyone’s hair is different, but you can determine the quality hair care products you need by examining your hair’s porosity, elasticity and curl variance. You can easily see how porous your hair is by putting the ends of your hair in some water and seeing if it floats or sinks. If your hair is porous, then it will sink and you know you should opt for lighter hair care products since it will absorb them more easily. From an elasticity standpoint, the easier your curls snap back to their original position after being stretched out, the more elastic they are. Elasticity is all about moisture, so if your hair is lacking elasticity, consider opting for hydrating products so you won’t have to deal with dry hair. And if you discover you have a variety of curls in your hair, it doesn’t necessarily mean you need to use multiple products for different sections. Sometimes all it takes is using a little more or less products in those areas to even them out. RemySoft believes using the right quality hair care products is much better than increasing the quantity of products you use. 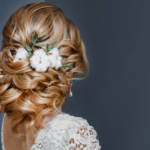 Determining your hair type is always important before using certain products, and if you have curly hair, then you need to take it a step further to understand your specific curl type. If you have any questions in this regard or would like some tips on how to maximize your curls, don’t hesitate to contact us at any time.